Last weekend, I had the privledge of attending the LA HoloHack. The HoloHack events are put on by Microsoft to expose more developers to the HoloLens, see what they build, and expand the platform. I love hackathons, so as soon as I heard about it, I signed up, and with a team of experienced developers, we pre-planned out project and arrived excited to build something great. 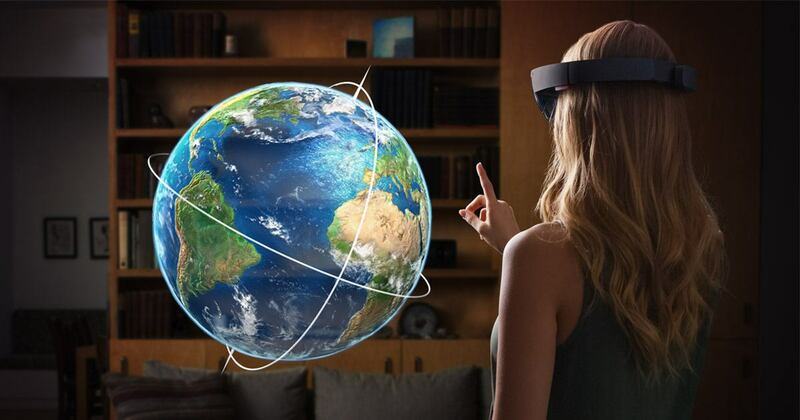 Prior to this event, I’d used the HoloLens a handful of times. I’d gone through the best demos, attended a couple HoloLens meetups, and spent some time with the emulator, but this was going to be the first full HoloLens project we’d all get to build. The setup process for developing on HoloLens seems like it’d be pretty straight forward. Install Unity, and the tools on the HoloLens page.. then good to go, right? Unfortunately, with my laptop, I had previously installed VS 2015, but did not check the UWP boxes during install. Because of that, I couldn’t get anything to work.. the emulator wouldn’t install, I couldn’t do a hololens build..
And the only way to fix it was to re-run the VS2015 installer (and check the UWP boxes)..
It’s supposed to work with 2017, but it didn’t work for me, and the developers on my team who tried using it had constant VS crashes. Everyone I’ve ever talked to about the HoloLens complained about FOV.. For good reason, it’s really small, and can be really limiting. It’s not so much the horizontal FOV either.. while that’s small, it’s managable. The vertical FOV is only about 16deg..
Now while it’s frustrating and limiting, it doesn’t mean the device is DOA, just that you need to really heavily consider the constraints when designing. In our case, the original game idea we had included a lot of looking up and down, which doesn’t work well at all with that vertical FOV. This was a big hit for us, but a good learning experience for myself. It was a reminder to always understand the limitations of the hardware and really consider them when designing. While a game that requires lots of up and down scanning won’t work well, there are quite a few things the hololens excels at which we should have taken advantage of. This was amazing.. scanning the environment is not only fast, but extremely easy to setup. By adding a single component, you can generate a mesh for the environment that’s auto updated as more is scanned in. Placing something on the wall just requires a quick raycast against the environment layer to get the point and normal. The same went for finding wall and floor planes, it’s all thought of and easily accessible. This was probably the coolest part of what we did. If you’ve never tried a hololens, it’s hard to explain.. but if you create your app right, you can make it appear as if you’re seeing into or through a portal. In our case, we made it look like you could break out the wall and see inside (though the inside of our wall was made of cheese). This effect works in 3D, so you can look inside the wall from any angle and see what you’d expect.. it’s mindblowing and probably the coolest effect I’ve seen on the HoloLens. Setting up voice control for the HoloLens was amazingly simple. With a couple lines of boilerplate code, and a single event registration, you can bind any command to a method call. This is actually a feature of UWP apps on windows 10+, but I’ve never had use for it before HoloLens. If you need voice control, it’s definitely worth trying out Microsofts solution. Since the HoloLens is so well integrated with Unity, development was extremely easy to get started with. Other than the specific location of your MainCamera (0, 0, 0), and the requirement for a solid black clear flag, everything else was pretty much typical Unity development. Only input handling was a little different, but it wasn’t difficult. Overall, developing for the device was a great experience. If you’re going to jump into HoloLens development, look for opportunities where the HoloLens has a distinct advantage. If your game will work fine in VR, it’s probably not a good fit for AR.. If your game requires the player to look all around and keep track of multiple things, it probably isn’t a good fit..
Games where the player needs to be very close won’t work well… the ‘ideal’ near clip plane is around 1.5m..
Overlaying onto real world people.. even putting bars over their heads with extra info can be a good starting point. Using the environment.. placing things on walls, having things run around, float in the world..
Interacting with the environment.. have things bounce on the floor, pop and explode, etc. While our project idea totally failed, and we didn’t come close to winning.. I learned a ton at this hackathon. If you happen to have a HoloHack pop up near you, I definitely recommend going (Microsoft hosted events are always great)..
I’m excited for the next one, and have a few ideas that I think will work much better now that I have a stronger grasp on the devices strengths.